Hi, Are you looking for the latest RRB Bhubaneswar recruitment 2019 notifications? If Yes, then you are at the right place to check that. Railway Recruitment board Bhubaneswar division time to time publishes the important notifications for job aspirants so that they can apply online in various recruitment process like RRB Bhubaneswar Group D Recruitment, RRB Bhubaneswar ALP jobs etc. There are a few recruitment processes which come with a vast opportunity and posts like Group d, NTPC, ALP etc. The most loved and applied recruitment process is RRB Bhubaneswar Group D recruitment. As per an official data, last year approximately 1 crore and 80 lakh candidates have applied in Group d recruitment drive for 1 lakh posts. This year the RRB Bhubaneswar Recruitment board has issued a total number of 1,03,769 vacancies in Group D combining all 23 RRB’s. 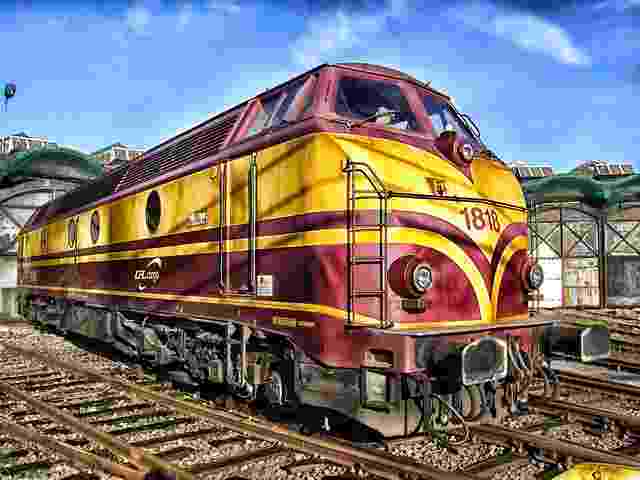 In this article, competitive preparation students who are interested in Railway Jobs can find all necessary pieces of information of new job, Exam date, Admit card details and download link, Results and cut off details, etc at one place. The Bhubaneswar Railway Recruitment Cell RRC is one of the 23 RRB’s which is responsible for the recruitment process in various groups. It looks after the tasks which are necessary for hiring the right candidates for the post according to their qualifications/ age and ability. For this, they organize the aptitude test at various level and difficulty and Railway Bhubaneswar recruitment job process start with the submission of online application. Like other RRB’s, Bhubaneswar RRC publishes all new notification on its official website which is rrbbbs.gov.in and all candidates are advised to follow the official websites closely for new notifications and information updates. In recent job notification, RRC Bhubaneswar has ongoing online form submission for Group D 1,03,769 posts and the last date for the online form submission is set as 12th April 2019 followed by final form submission and fee payments at later dates (Check detailed information below). After the submission of online application forms, the officials check them thoroughly and accept only those candidates in the recruitment process whose online forms are correct and are free from any errors. After the final submission date of any recruitment notification, the board publishes an official notification to check the application status online by using their registration number and other login details. They can get their Application status from the candidates portal of the RRB Bhubaneswar recruitment 2019. Exam Date- RRB BBS Group d CBT exam date expected to be held in the month of September or October 2019. Read the full syllabus and start the preparation for 1st step accordingly. The level of difficulty will be moderate but due to competition, the cutoff marks are expected to go high as compared to last year cut-offs. All CBT qualified candidates will be eligible to participate in the next step which is Physical Efficiency Test PET and finally document verifications. 2- Search for the latest result notifications in the notification tab. 3- Download result in PDF format or proceed to log in using your registration number and date of birth. 4- After login, you can check your Railway Bhubaneswar exam results. There are two things for which a candidate waits for after exams. first- Answer key and second- Result. The answer keys are published a few days after the exams. It is basically a sheet of correct answers to the questions which were asked in the exams. So, After analyzing the Answer key the examinees can evaluate their performance and expected marks they are going to get in the results.